You somehow ended up in a deadly dungeon that is quickly filling up with lava. Escape! 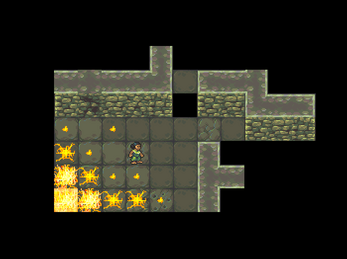 This is a Duality Tilemaps Jam entry. Full project and source code is available on GitHub. The attached download is game-only, no editor or code included. Unpack the .zip file and run DualityLauncher.exe.